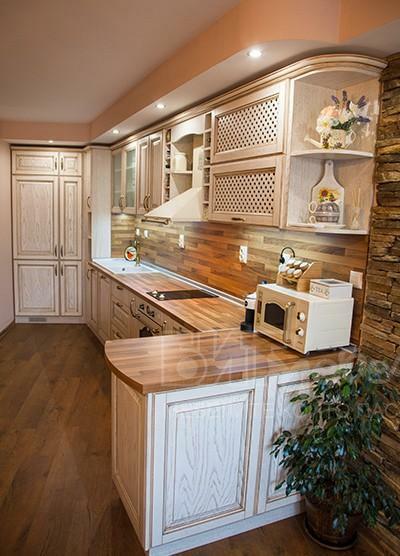 Kitchen furniture should not only be beautiful, but also convenient, providing maximum functionality and the most efficient space organization, for which we strive through developing individual projects for each of our customers. Materials used to manufacture our kitchens include: particle boards (LDF), medium-density fiberboards (MDF) – veneered or painted; kitchen countertops, printed glass; specialised furniture fittings of the leading manufacturers. 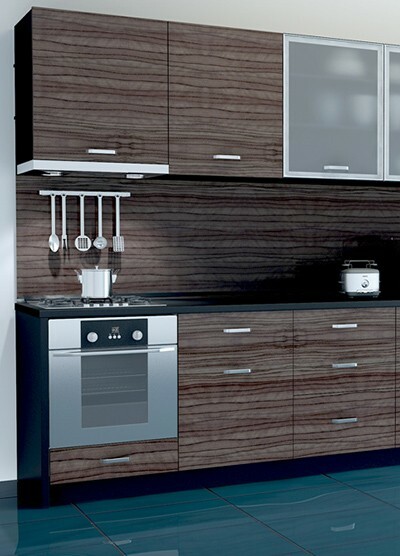 All these provide an opportunity for our customers to choose a design of their perfect kitchen – from super modern to vintage; additionally, we provide a choice of electric kitchen appliances, sinks and kitchen accessories that will complete a unique look of your kitchen.